THPBlog: Sierra Pacific Industries to clearcut log NW of Burney, CA. Sierra Pacific Industries to clearcut log NW of Burney, CA. 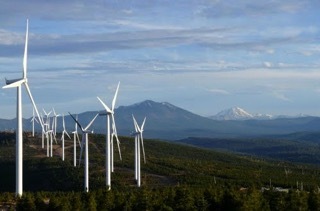 This THP is about 7 miles NW of Burney, CA and 3 miles north of Highway 299 near the Hatchet Mountain Windmill Farm. Sierra Pacific Industries is planning a clearcut tractor based logging operation in ponderosa pine, Douglas fir, white fir, sugar pine and incense cedar forests at an elevation of 3,800 to 5,400 feet elevation. There are 4 springs and wet areas within the THP area in units 1B, 1E and 2A. Pacific fisher have been reported in sections 1 and 10, historic (1993 - 1995) goshawk nest locations have been reported in section 4, and willow flycatcher habitat is located in sections 6, 9 and 10. Osprey have been reported at nearby Lake Margaret, and bald eagles have been reported at Lake Margaret with nesting activity in sections 5 and 8, including a 2006 nest in section 5 within .25 miles of unit 5C. There are historic (1989) reports of CA spotted owl nesting territories in sections 7 and 33 which were altered by the 1992 Fountain Fire. English peak greenbriar was found adjacent to a wet area on the south side of unit 6A, and Hot rock daisy was found in the NE corner of unit 11B.